So I waited until I felt a breakout rumbling under my skin, since it's an on the spot treatment I figured I would really test it out but not using it at all beforehand. 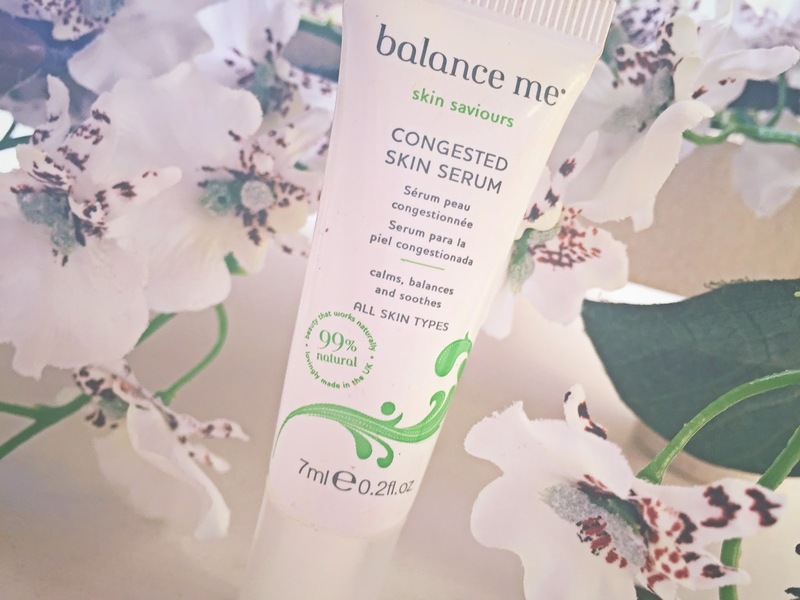 Once I felt the first bump of a spot come through, I applied the Balance Me Congested Skin Serum directly onto it and rubbed it into to the offending patch of skin and the surrounding area. I was surprised. It was as astringent or drying as the usual spot eliminating products. It didn't dry my skin out and it didn't smell offensive or strong. In fact, it's a light, fluffy texture that rubs in easily, and vanishes into the skin almost instantly, leaving nothing behind but a zingy and zesty scent, which is really quite pleasant. Now, usually when you feel a spot brewing under the skin, it can take a few days for it to rear it's head and then it's going to be one of those awkward spots that you can't get rid of and just have to ride out until it decides to run off to where ever they go... But after using the Balance Me Congested Skin Serum, I noticed that my spot was coming to a head much quicker than usual. Not only that, it wasn't as red or as obvious as they usually are. It looks like the serum targeted the spot, brought it all up to the surface allowing me to get rid of the underlying dirt, and calmed my skin so it wasn't hugely red or particularly obvious that I was in the middle of a breakout. I'll definitely be repurchasing. The Balance Me Congested Skin Serum clearly does bring all those nasties that cause spots out of the skin quicker than any product I've tried before. Fancy giving it a go? The 15 ml bottle is available for £15.76 on the Feel Unique website. They are such a fab skincare brand aren't they? I think you should definitely treat yourself to this one!